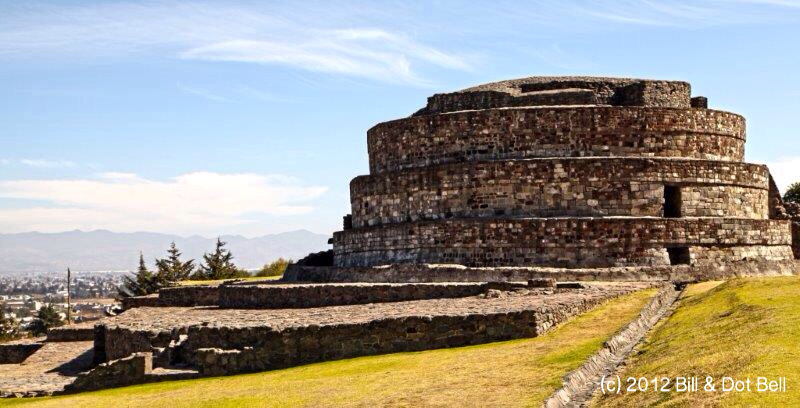 The circular Temple of Quetzalcoatl (God of Wind) can be found in Calixtlahuaca in the Toluca Valley of highland central Mexico. In my quest to view it from overhead, I ended up on google maps and was able to see it up close and personal. 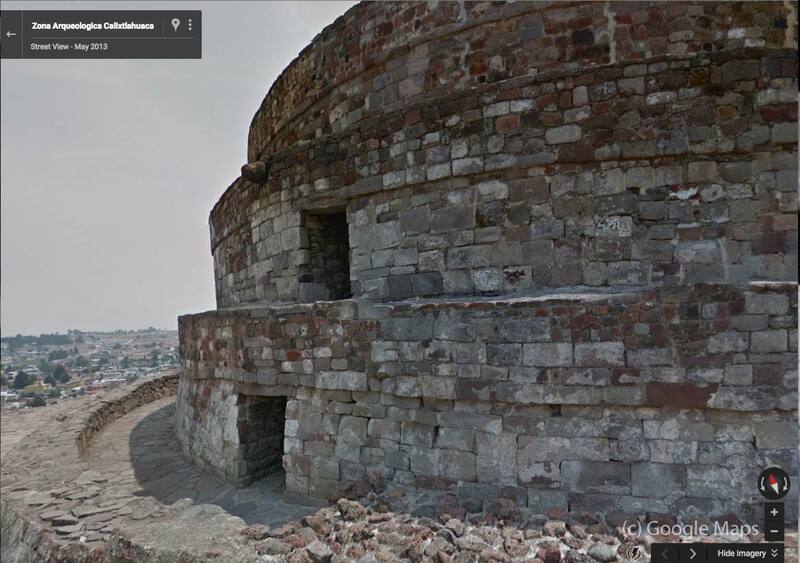 Here’s the link to be able to “walk” around it for yourself: Google Maps at Quetzalcoatl. And here’s the link that puts you on top of Quetzalcoatl. When looking at this temple up close, we can see they built it with square and rectangular bricks. Yet from a distance the building is round. Today’s mandala points out the value of perspective. What we may see as one thing (or person) from a distance, up close, we can see that it consists of multiple components, each with its own distinct characteristic…some perfect, some flawed.